Everybody is fond of discounts. Price is one of the defining factors for customers to make purchases. So usually during sales periods you try to please customers with sweet prices. 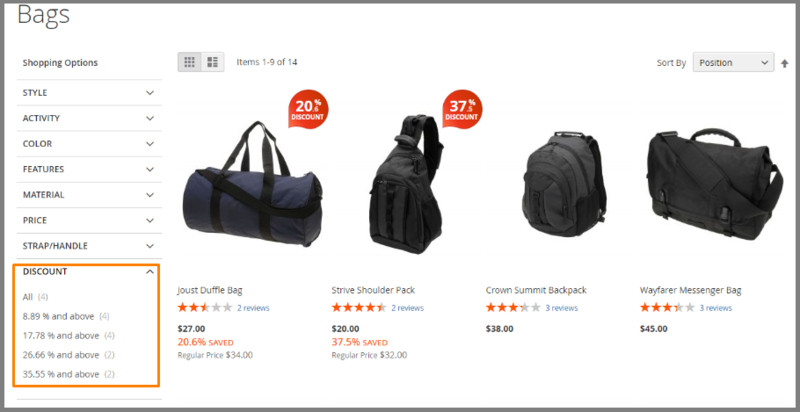 But you don’t understand why customers buy from competitors’ web stores. Maybe they just get lost in the bulk of discounted products? Or want to see whooping sales? Provide the possibility to filter products not only by price but also by the existing discounts in your store. Our Layered Navigation Discount Filter makes it true! With the custom filter for discounts, you can be sure that customers find the most advantageous offers in seconds. 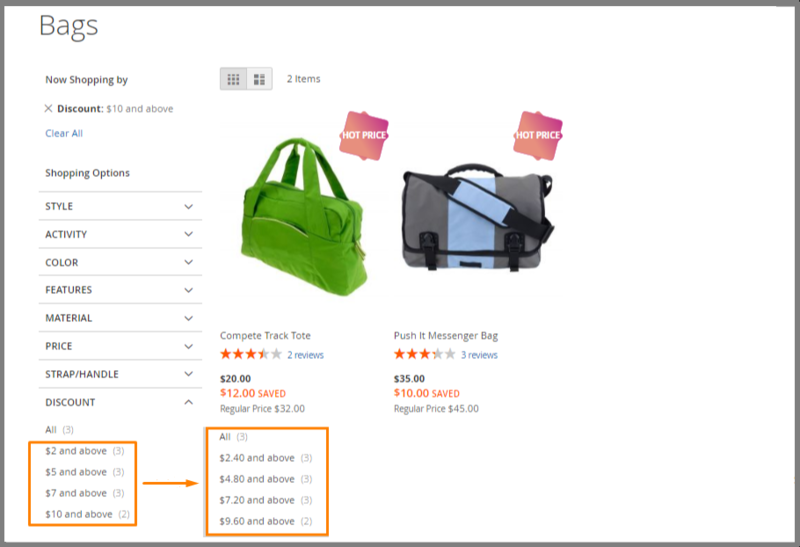 Add the discount filter to the Layered Navigation sidebar. On the screenshot above, 5 price range intervals are set. You can change their number as well as select another display type in the settings. Move forward to know more! Choose price range intervals or slider as filter display. Here we’ve applied the slider for customers to move, indicating the starting point of the discounts they want to find. In the little box below, the value is displayed to know the exact slider position. 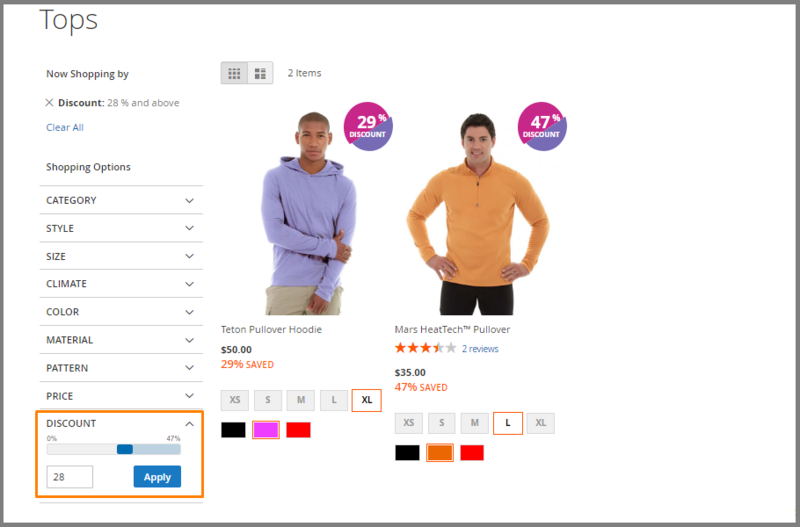 After the setting, customers click ‘Apply’ to see search results. If you don’t select the slider type of display you have to set intervals in any way you prefer. For example, we’ve taken 25, 50, 75 %, so you see not all of them are shown, just because there are no product with such discounts. You are free to delete any interval any time by clicking the bin icon. 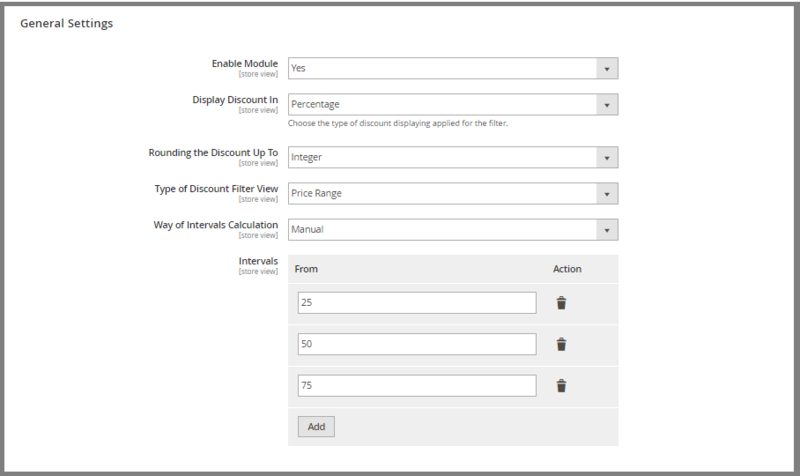 Select the discount display type on the filter: in percentage or in amount. Choose one of the way for customers to filter discounts. it’s possible to offer sales in percentage or display products according to the amount of money they can save. Choose the way of discount rounding: integer, tenth, hundredth. The use of more precise or approximated discount value depends on your business. Apply the most appropriate one for your needs. Apply one of our custom labels or Upload your own image for them! As you can notice on the screenshots, we’ve applied different labels for providing examples. But they are not limited to 3 types. Check out exclusive collection containing 15 labels. Or upload your own image for label background to match the bstore design even more individually. 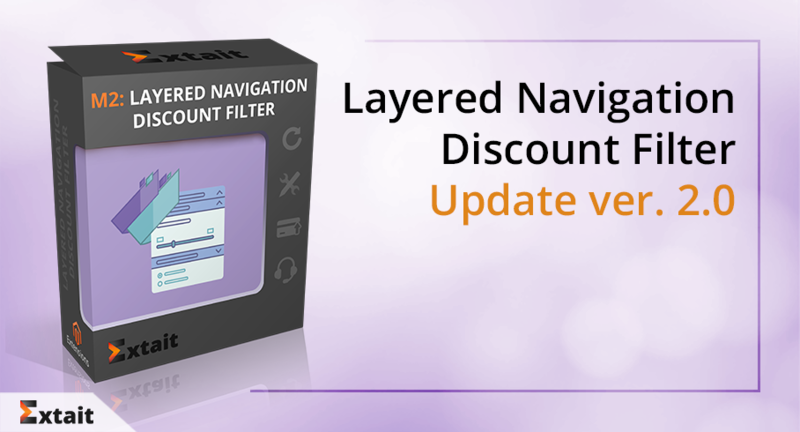 Check out the full list of features on the Layered Navigation Discount Filter extension page. As you see, with the help of the module your buyers can save time and quickly benefit from your special offers. 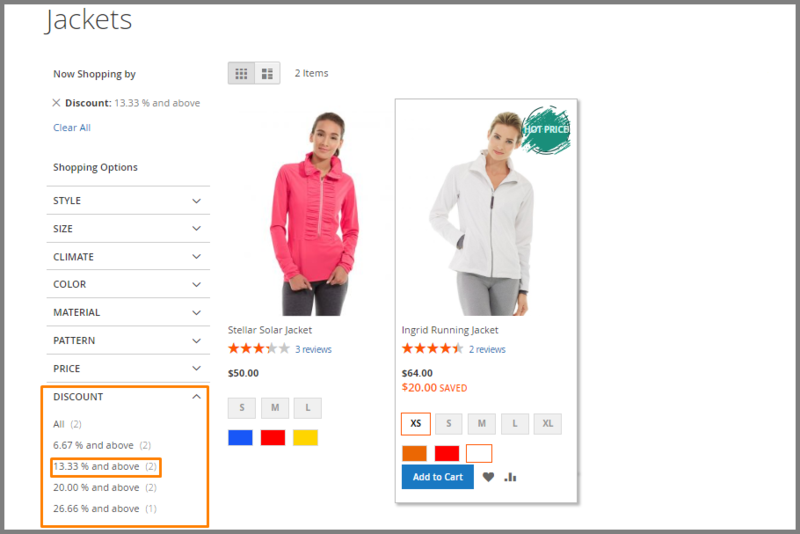 If there is the filter by discount, customers don’t need to look through a long list of all products on sales. Moreover, you can make the products noticeable with catching labels. Enabling these functions, you can attract customers to your special offers more individually. To study how the module works try Admin and User demoes of Layered Navigation Discount Filter.